Arsenal’s major share holder Stan Kroenke has announced that he will try to have full 100% ownership of Arsenal Football Club. Stan Kroenke wants to take over Arsenal Football Club as he has launched a takeover bid valuing the club at £1.8billion and this will probably make the North London club as an asset of his since he will have 100% control of the club. The Arsenal fans believe this is bad news because the American billionaire isn’t a football fan and neither being passionate about Arsenal so this news has disappointed them yet they were looking forward to the new season under Unai Emery but Stan Kroenke taking over the club ends their morale ahead of the 2018/19 campaign. 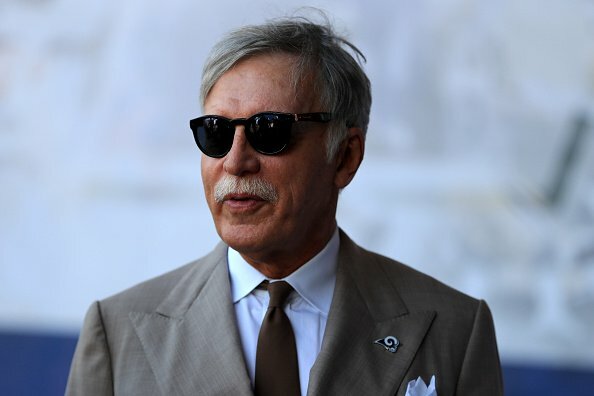 Stan Kroenke is the largest share holder at Arsenal and it is now revealed by the Mirror that the American will be buying the shares of his biggest rival at the club, Alisher Usmanov who has 30% percent stake at the club so if the Russian agrees to sell, Stan will be owning the club as his other assets like NFL’s LA Rams, NBA’s Denver Nuggets, NHL’s Colorado Avalanche and MLS side Colorado Rapids. Stan Kroenke through his company KSE released a statement saying that they would like to make an offer to get 100% ownership of Arsenal Football Club and it’s said that the billionaire will be buying every Arsenal share at £29,419.64 in cash thanks to a loan he got from Deutsche Bank which has helped him to start this campaign to take over the North London club.